The Playwright’s Horizons theater venue fit the theme of our 2014 event – every day’s a live performance when you’re a leader. Author Julie Straw, lead a conversation about The Work of Leaders: How Vision, Alignment and Execution will Change the Way You Lead. We served as facilitators in this unique December 2013 town hall meeting. Hundreds of New Yorkers gathered to inform newly elected, not yet in office elected city officials about their priorities and ideas. In summer 2013, two dozen stellar women from varied fields gathered to discuss Sheryl Sandberg’s book and share ideas for how to “lean in” on their own terms. We hosted the high energy event at the Pace Conference Center in NYC. We served as facilitators in the inaugural 2005 gathering of world leaders and international change agents lead by President Bill Clinton. Guided by facilitated small group discussions, participants worked together to face off to global problems and commit to tangible solutions. For over two years, Janice and Joanne hosted a weekly radio talk show about innovation and leadership on VoiceAmerica.com. Guests ranged from best-selling authors to social action change agents, from cutting edge researchers to forward-thinking non-profit and corporate executives. In the months following the September 11 terrorist attacks, Janice and Joanne were table facilitators in two large-scale town hall meetings, one involving 600 participants and the other 4,500 participants. 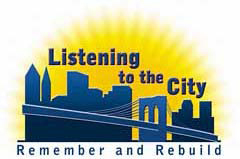 The facilitated conversations influenced decision-making related to the redevelopment of lower Manhattan. Hundreds of student teams from top MBA programs across the world generated solutions to real-life challenges posed by sponsoring companies. Janice and Joanne were preliminary and final round judges of the competition and, via streaming video, virtual coaches to the student teams. Helping women survivors of war in ravaged nations – Bosnia, Afghanistan, Iraq, Rwanda, and the Sudan – by creating sponsorship and support for Women for Women International through the Circle of 100 Women, a project led by Janice Maffei, to be scaled in other markets around the world.